Today we’re excited to announce Square Reader SDK, a complete toolkit that enables developers to reimagine the checkout experience for sellers and buyers. While we’ve built some of the best point-of-sale software on the market, we know that many industries have niche needs and businesses may need unique experiences that aren’t served by our existing products. That’s why we’re opening up our platform and providing developers direct access to Square hardware for the very first time. Shake Shack partnered with the design and development agency Fuzz to build a self-service kiosk at its “Shack of the Future” in New York City and at pop-up locations, where customers can order their food and pay with a card all on their own. 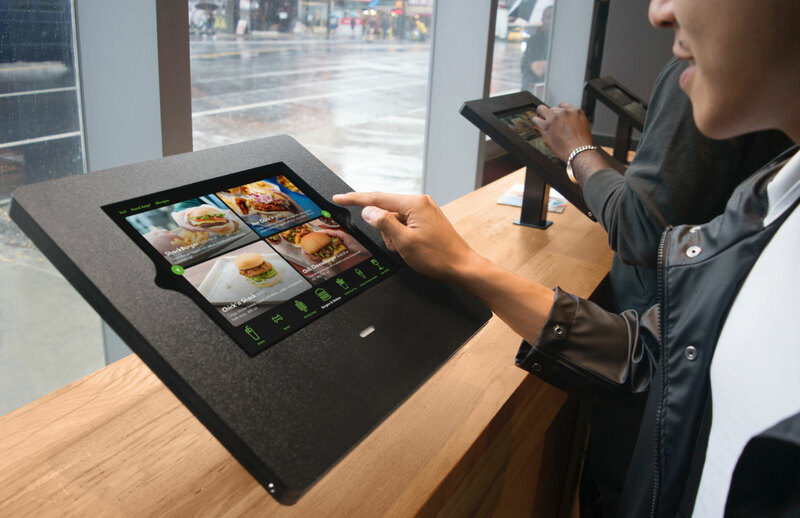 The kiosk drives down wait times for customers and enables Shake Shack employees to focus on providing a world-class customer experience from the moment diners enter the restaurant. Joe and the Juice was looking for a reliable and customizable new point-of-sale system that didn’t need to be built from scratch for its U.S. launch. It used Square’s existing payment flow and built-in tipping functionality in its custom point of sale and combined it with Square Stand to create an elegant new checkout flow. Today Joe and the Juice uses these terminals in 44 stores across the U.S.
Infinite Peripherals, an expert in developing mobile enterprise solutions, built ezMetr, a next-generation digital taxi meter that is currently used by thousands of taxi drivers to take card payments. With ezMetr, cab drivers can upgrade their payments technology to better compete against ride-sharing platforms like Uber and Lyft. In just six months, ezMetr has been used by 12 million passengers who have ridden more than 20 million miles. It has launched as the preferred choice for taxi cabs in Washington, D.C., with other cities coming soon. QuiqMeds built a mobile application for health-care professionals to dispense medication at the point of care so patients never have to make a second trip to a pharmacy. The health-care industry has high security standards and complex backend systems, but QuiqMeds found that Square easily met these requirements. Its mobile platform takes patient copays and enables providers to dispense medication in the doctor’s office, hospitals, or right at the patient’s bedside, saving both patients and providers time and money. Developers can get started using the Square Reader SDK today or they can learn more on our Developer blog.